Search and rescue efforts to reach the crash site of Trigana Air Service Flight TGN267 which crashed Sunday afternoon in the remote mountainous region of Okbape in the Indonesian province of Papua are being thwarted by poor weather conditions. 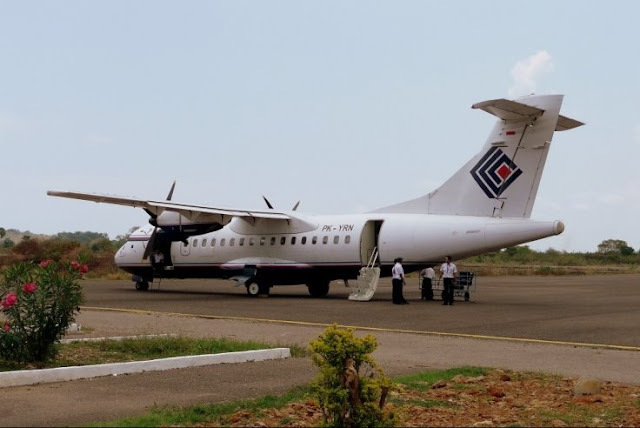 The search by Indonesia's National Search and Rescue Agency (BASARNAS) was launched on Sunday when air traffic control lost contact with the ATR 42-300 carrying 54 passengers and crew on a domestic flight from Sentani to Oksibil. 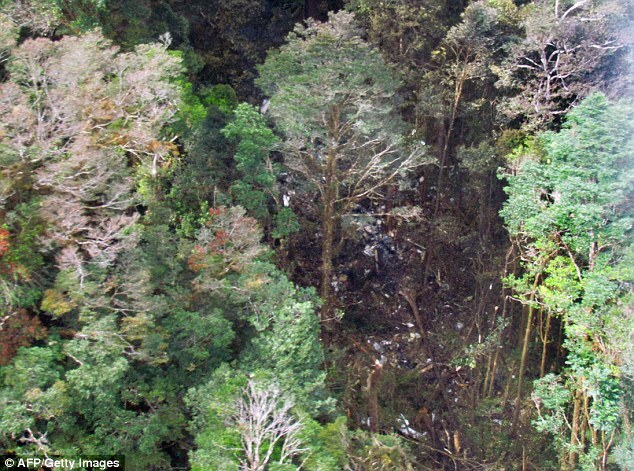 Contact was lost 33 minutes into its scheduled 45-minute flight and locals in the village of Okbape reported to police that they saw the aircraft crash into the Tangok Mountain. Early Monday wreckage was spotted in dense jungle 12 kilometres from Oksibil by a search plane. Ground search and rescue personnel are still attempting to reach the crash site but are being hampered by poor weather conditions and difficult terrain. Officials in Indonesia say the pilots did not send any distress signal, however weather conditions in the area were poor at the time. Pilots flying the Sentani to Oksibil route rely on visual flight rules to approach the airport. The ATR 42-300 twin turboprop was manufactured in 1988 and originally operated in the USA before being transferred to Trigana Air Service in 2005. Trigana has a poor safety record with 14 serious accidents since 1991, 10 of which resulted in hull loss.